Hi, I’m Mimi, an illustrator, visual storyteller and creative director. If you’re curious about my work, check out my portfolio below or in the menu. This is a selection of work I’ve done for magazines and fashion/lifestyle brands. Illustrations for print, online, for events (like seating portraits) or personal business gifts. Since 2013 I’ve been doing live-art for many brands, product launches, customer experiences and PR events. Here’s a few of my favorite projects through the years. 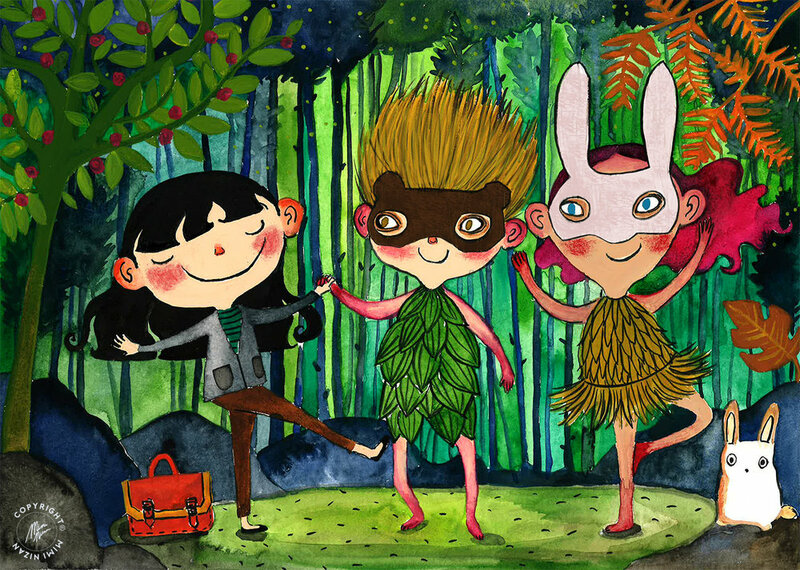 A selection of children’s illustrations, made with watercolor, gouache and ink. They’re mostly fictive characters and universes but also a few inspired by a well known fairytale.